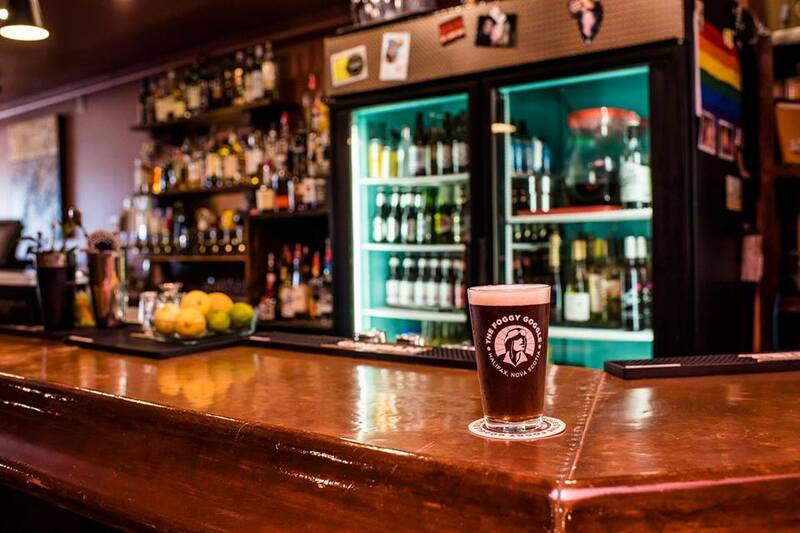 The Foggy Goggle is a neighbourhood pub serving up delicious drinks and comfort food with attitude. We have 14 beers on tap with a lovely selection of local specialties and familiar favs, a large selection of spirits—from single malts to local liqueurs—and a collection of ciders, wines, and classic cocktails. We're a fryer-free zone, serving up delicious comfort foods with a little attitude. We feature local, organic ingredients, and delicious vegetarian, vegan and gluten free options. Come in for an after work snack or meal out with friends. Best of all, on Friday and Saturdays the kitchen stays open late, so you can satisfy cravings until 1am. Find us near the corner of Gottingen and Portland Pl. in Halifax's historic North End. Our beautiful hand-built bar and cozy-chic style will have you settling in for a wonderful afternoon or evening with friends, in what we're sure will quickly become your new favourite home away from home. Served from 9am - 3pm on Saturdays and Sundays, Vegan and gluten free friendly options. Check out the menu here. Join us Wednesdays to explore the wonderful world of whisky—at the perfect discounted price. Try out new spirits and old favourites with other whisky-loving neighbours. We know you’ll love coming to The Goggle, but if you’re looking for an extra good time and some private space for your group, call 902-444-1414. We do private events in our loft with a special catering menu, so you can have all the Goggle goodness for your party. So come in, have a seat, and say hello to your new best friends!